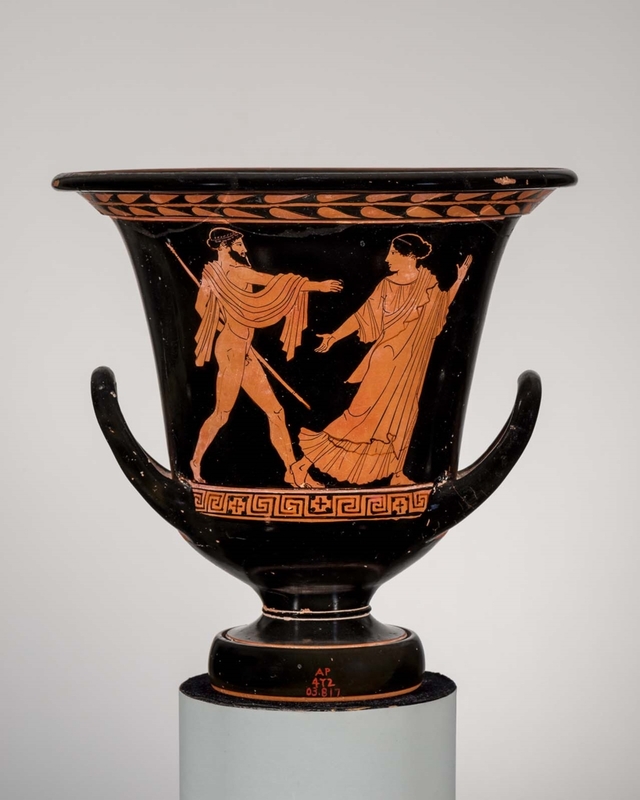 Caskey-Beazley, Attic Vase Paintings (MFA), no. 050. Side B: Draped man; bearded. 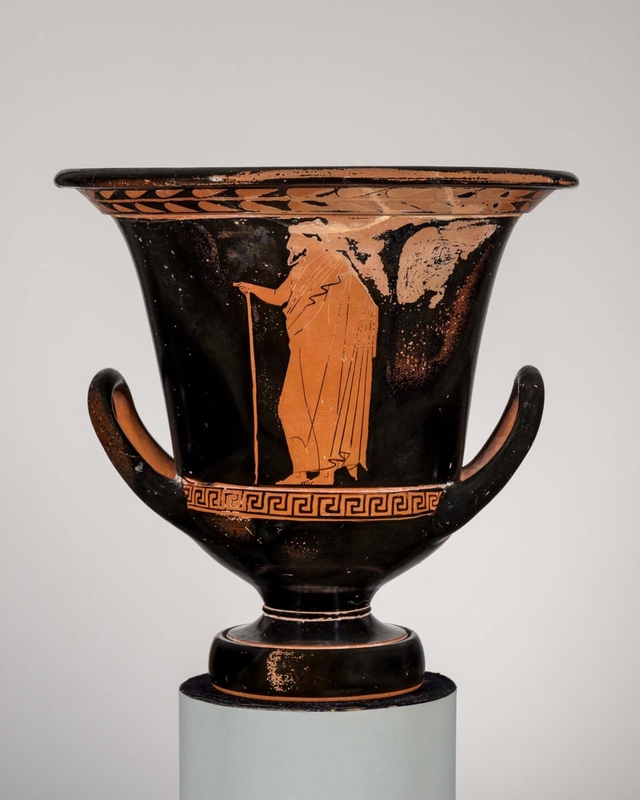 On one side of this calyx krater are a bearded man chasing a woman. This draped male figure carrying a long staff may be a depiction of Zeus running after the object of one of his many amorous pursuits. Another draped man is represented on the opposite side of the krater. Inside the vessel are the remains of a cremation burial.